To a degree it is. Jessica has always been more interested about her own self and what Bella's popularity could previously do for her. She's not as mean as Lauren, but she's not far off. But Jessica should not have to tried to manipulate their friends like that. Even though it doesn't hold any danger, the meadow was their special place. She's hoping for anything that will bring back Edward's voice to her. Bella isn't like any other girls. Jacob was smitten with her from the moment they met on the beach in Twilight. He can tell they are already good friends. He just believes that whenever she gets over Edward, that she will see how good they are together. I don't see it as betrayal. To her, Edward was never coming back. So even though she knew there would be no other love like him in her life, it could be easy and healthy for her to be with Jacob. No, it wasn't justified. I get that she was irritated, but she became unnecessary mean. It's a place where she can remember being with him, so she figures she'll hear him there. I do think it's a stupid thought though. 3. Bella is amazed that Jacob never gives up on pursuing her, despite rejection after rejection. She wonders where he gets the confidence. Based on what we know of Jacob, what do you think the reasons are for being so confident and not giving up? I think he's thinking that with more time, she'll forget Edward en will go for him. It is smart to think forward and move on. When you think you're never going to see the love of your life again, you shouldn't dwell forever. I think it's a bit mean, but I do understand. She didn't understand what was going on with Bella during that incident, so to her, it was way too strange. Because she thinks that the excitement (and sadness) of seeing the meadow again will cause Edward's voice to tell her to leave the place and stop thinking about him. He probably understands how heartbroken Bella is, and he thinks that one day, she will accept him if he waits long enough. I think that she's finally moving on. At this point in the story, she thought that she'd never see Edward again, so there's no reason for her not to love someone else. No, not at all. If she was a real friend, she would have recognised that Bella needed all the support she could get. 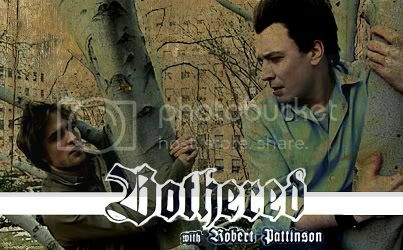 Because it is such a visceral reminder of Edward, and a place where so much happened between them. Perhaps also because she did feel fear when she was first there with him, and she's thinking maybe its memory can "summon" him. He's an optimist. He's also attracted to her, and can see that he's helping her. She is trying to move on. She doesn't believe, at least consciously, that Edward lover her anymore. And she probably doesn't believe, either consciously or subconsciously, that he will come back. She's trying to restart her life. I can't blame Jessica for acting that way; however a good friend wouldn't. Yes, I also feel that she wants to feel closer to him by going there. It gives her something to hold and to that he did exist. Usually your parents guide you to be more confident and believe in yourself, so I would say his dad and close family and friends. I have never felt Bella loves Jacob in that way. I always felt that he was filling a hole for her but Jacob could never be what Edward was to her.